Ever wonder who is behind A Journey Into Islam's tweets, emails, interactive exhibits, and delicious food? Meet our all-star organizing team for 2016! Feel free to approach these friendly faces if you need anything on the day of the event. Aamir is an involved member of the Az-Zahraa community, and especially enjoys organizing and helping with special projects. Back in 2012, he worked with the Az-Zahraa Youth Committee to launch the first ever A Journey Into Islam event. Over the years, he has been involved as the Chair (2012 and 2016), organizer and exhibitor. He is excited to see the event grow, and is eager to learn from all his leadership experiences as the Chair this year. Aaliya is a graphic designer, illustrator, jokster and henna artist who enjoys listening and narrating funny stories. With a passion for volunteerism and travel, she has worked to creating events for all ages that are fun and exciting using the unique experiences that she has observed and lived through. Aaliya has been a part of A Journey into Islam for the past four years, starting off as a volunteer and designer to exhibition coordinator to event chair. An as undergraduate student pursuing business, Mohamed appreciates the importance of getting involved by giving back to the community, and with that mindset he has been part of the A Journey Into Islam initiative in many different capacities. When he is not busy balancing spreadsheets, Mohamed spends his time playing hockey and exploring new landmarks in Greater Vancouver. He hopes to bring his ideas and past experiences to the organizing committee this year. 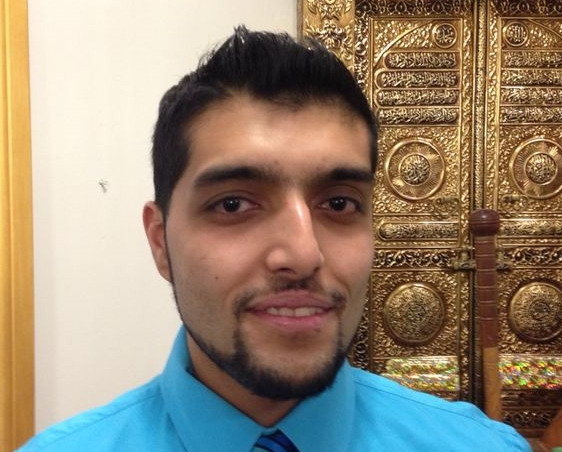 Ibrahim is a post-secondary student pursing a degree in the field of business. Over time, he has been an active member and volunteer of the Az-Zahraa community and the A Journey into Islam event since its creation. From all around volunteer, to organizer, and back, Abe has been all about assisting the community and this event's continuous growth, by applying his past experiences, and dedicated effort for this event's current and future success. As a newcomer to Vancouver from Montreal, with a passion for volunteering and giving back to the community, Mohamed Hassan is very excited to work with this year’s A Journey Into Islam team. He hopes to contribute his experience working in the corporate arena to the organizational aspects of this event. In his spare time Mohamed Hassan enjoys playing sports and spending time with his family. Nabila is a post secondary student working towards a degree in Social Work . She is an active member of the Az-Zahraa community, working on humanitarian initiatives and previously serving as Youth Committee President. Her work within the wider community is focused around children and youth leadership development. Her interests include updating her insta food blog @chakulastreetfood, meeting new people, and trying to make a positive impact everyday. MuhammadAli is a business student with a passion for fitness and sports. With a goal of giving back to the Az-Zahraa community; MuhammadAli has travelled to Africa to lend a helping hand in projects to better lives of orphans, and was the logistics coordinator for A Journey Into Islam 2015. He is the organizer of the Az-Zahraa hockey club and is part of various sports clubs within the community. He hopes to continue to be a part of the A Journey Into Islam organizing team, and to see the event grow in the future. Samaah is pursuing a joint major in International Studies and World Literature, with a minor in Middle Eastern and Islamic History at Simon Fraser University, (and she doesn't expect you to remember all of that). Samaah enjoys reading and writing about the current state of the world, and occasionally chimes in on twitter — @samaahjaffer. In her free time she likes to drink black coffee, eat Thai food, and wear crooked infinity scarves. Mustafa is a grade 11 student at Matthew McNair Secondary School. His passions include art, poetry and music. In his free time, he enjoys reading, photography and traveling. His travels have taken him to many place around the world, including Morocco, Turkey, Tanzania, Kenya and India. He also plays many sports including hockey and curling, and has had the great opportunity to be on his school's table tennis and golf teams. Newer PostImmerse yourself in A Journey Into Islam: New additions for 2016!